William Wright, founded the firm in Dudley in 1919. Having worked at another local law firm he then saw the opportunity to open his own practice. In the shadow of WW1 he had great confidence in his vision to start a new company and offer a quality legal service to local people. William’s son Malcolm joined the firm in the 1930s whereby the company became William Wright & Son, the name it has been known by for the majority of its 100 years history. The Partners were affectionately referred to as Mr William and Mr Malcolm by their staff and clients. The company relocated to Lutley House, St James’s Road in 1959 where the Head Office remains today. Dudley was a prosperous town throughout the majority of the Twentieth Century, reflected in the growth of the firm which was well known across the region. Following Mr William’s retirement, his son in law Mr Owen Griffiths became Partner. Mr Malcolm’s son in law Cliff Gammon joined the firm too, becoming Partner in 1976 through to 2008 when he retired. For the majority of the history of Wrights there has been a family connection as Clare Mackinnon who joined in 2016 as Business Manager, is the great-grand-daughter of Mr William. After such a long history as a Partnership, the firm Incorporated in 2017 to become Wright Solicitors Ltd marking a significant step forward as a business. The current Directors are Stan Williets, Julia Allely and Pardeep Jassal who between them hold a wealth of experience. Caroline French recently retired as Director but is now undertaking Consultancy work for the firm. One of our great strengths is the committed and high calibre staff who work for the firm. We are proud that around a fifth of our staff have worked here for 20 years or longer, with one secretary having over 40 years’ service. This brings continuity and a level of comfort to our clients, who so often comment that it is the personal service that they get from Wrights, which really sets us apart from other firms. Furthermore our fee earners have many years’ knowledge and experience, with over 200 years’ experience collectively. Inevitably we now look at constant change in technology, which is so far removed from the traditional firm established 100 years ago. Over the last 25 years specifically the firm have responded to the changing technologies available, taking advantage of the digital world to improve our processes whilst maintaining the personal service for clients. Recent rapid change hasn’t only taken place through technology though. In order to remain competitive and relevant as a business, the firm not only rebranded in 2014 to become Wright Solicitors but in 2015 the firm acquired Marion Evans Solicitors in Bewdley to expand the company. In 1919 Bewdley was a holiday destination for people in Dudley. Despite William Wright’s personal foresight, ambition and forward thinking, it’s unlikely he would ever have believed that his firm would have a branch office there in the future, and that it would be easily commutable in less than an hour. 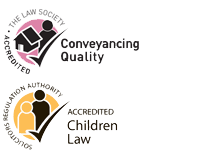 ‘To provide a high quality, friendly and understandable legal service to local people focused on the holistic needs of the individual and family at a reasonable and affordable cost’.